Zen Studios has announced that three more classic Williams Pinball tables are joining Pinball FX3. Theatre of Magic, The Champion Pub, and Safe Crocker will be available as part of a three-pack on March 19. Pinball FX3 was updated this week with the Williams Pinball Volume 2 collection on Switch. Take a look at some footage of the new tables below. 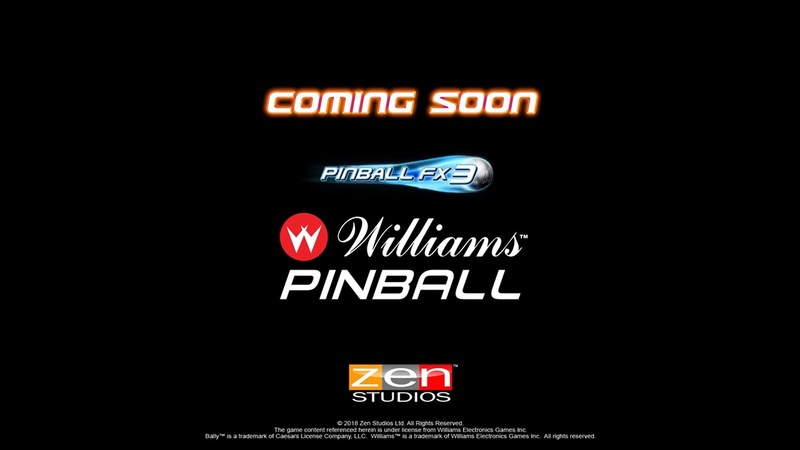 Zen Studios announced today that it will be continuing its efforts with the Williams Pinball collection for Pinball FX3. The Party Zone, Black Rose, and Attack from Mars will soon be available as new tables on Switch. 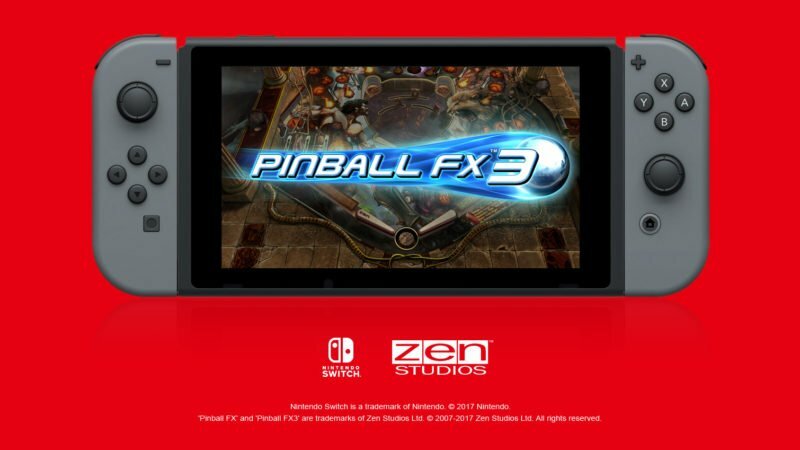 Zen Studios published brand new DLC for Pinball FX3 just a few days ago. For the first time, Bally/Williams pinball tables were offered to players. Medieval Madness, Fish Tales, Junk Yard, and The Getaway have been recreated digitally, but with some alterations. Ars Technica reports that the new tables have “many modifications to the original playfield, backglass, and side table art.” There are other changes as well to cover up scantily clad women, remove blood from swords, replace beer cans with soda, and take away cigars from characters smoking. Pinball FX3 received the brand new Williams Pinball: Volume 1 DLC yesterday from Zen Studios. Take a look at some footage below. 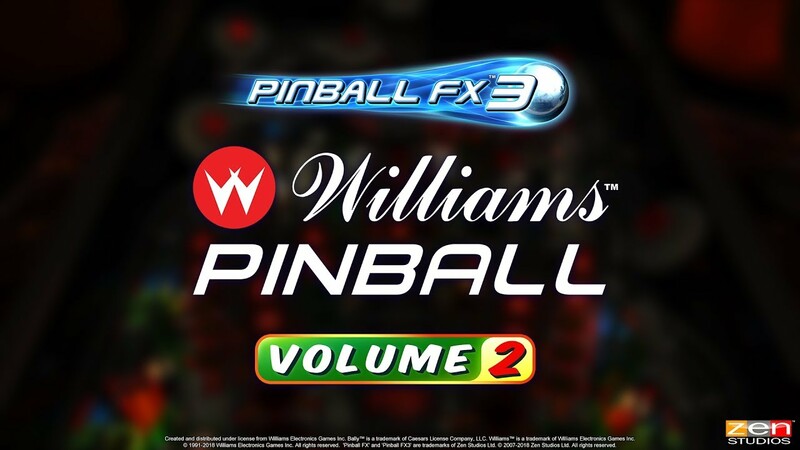 Williams Pinball: Volume 1 is officially live in Pinball FX3. Take a look at the launch trailer below. When Nintendo Switch Online started yesterday, many games required a membership in order to play online and access certain elements through the internet. Pinball FX3 ended up being one of them, but not intentionally. Zen Studios has revealed that Pinball FX3 – Williams Pinball Volume 1 is due out on October 9. Pricing is set at $9.99 / €9.99 / £8.99. Medieval Madness, Junk Yard, and The Getaway: High Speed II will be included in the pack. Everyone will be able to download Fish Tales for free as well. 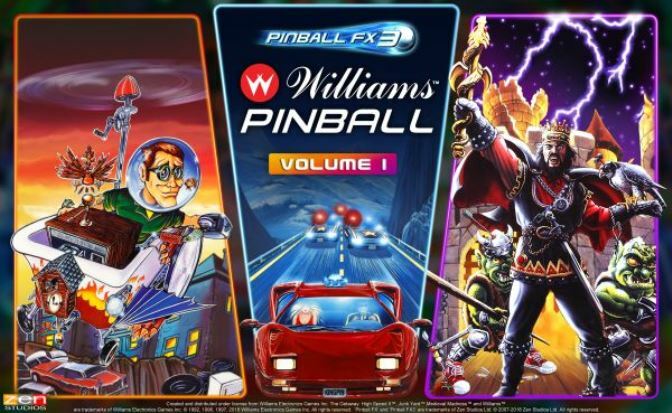 Williams Pinball Volume 1 will also feature remastered versions of the classic tables, which will include 3D interactive characters, side wall art, ball trailer effects, particle effects, and more. Players can toggle between classic and remastered versions with a single button press, and remastered versions can be played with both the new classic physics simulation or with Zen’s modern-day pinball physics simulation. 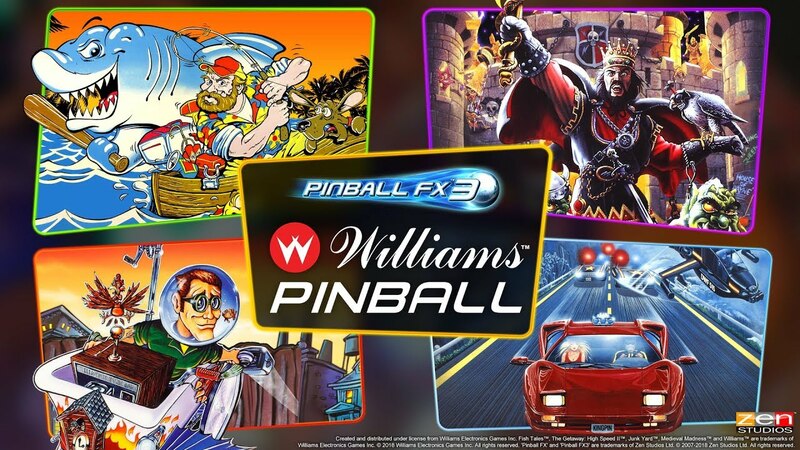 Zen Studios announced today that it is bringing tables from the Williams and Bally pinball collection to Pinball FX3. Zen now has the digital rights to the full pinball library, including Fish Tales, Junk Yard, Medieval Madness, and The Getaway High Speed II. These tables will be available on Switch in the future. However, release dates have not yet been confirmed. Pinball FX3 has received a big update on Switch, bringing the game up to version 1.0.2. Today’s update raises the frame rate in handheld mode to 60FPS. And when playing docked, resolution has been increased to 1080p. A ton of other features and bug fixes have been implemented as well.